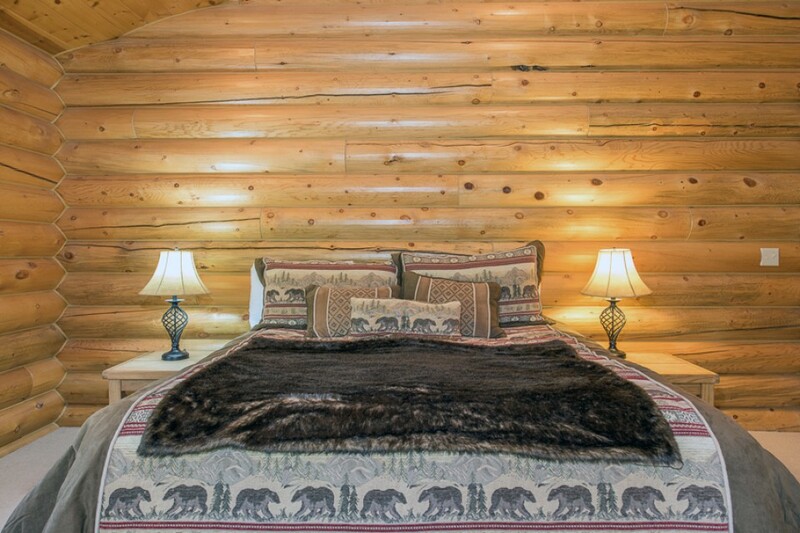 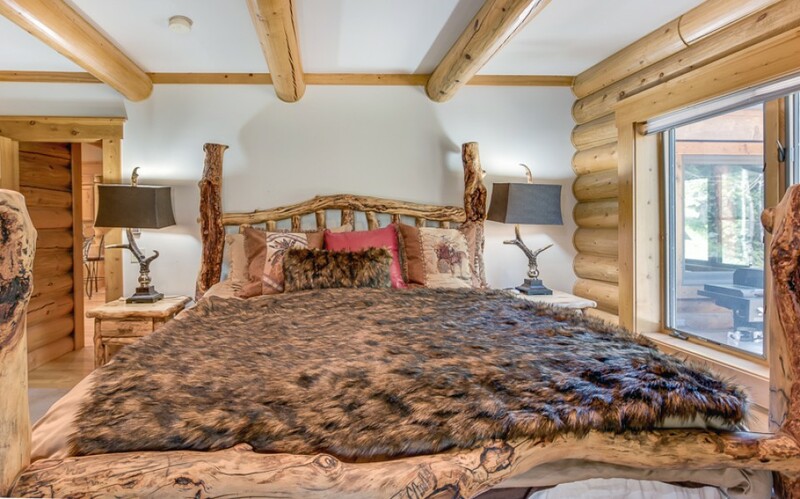 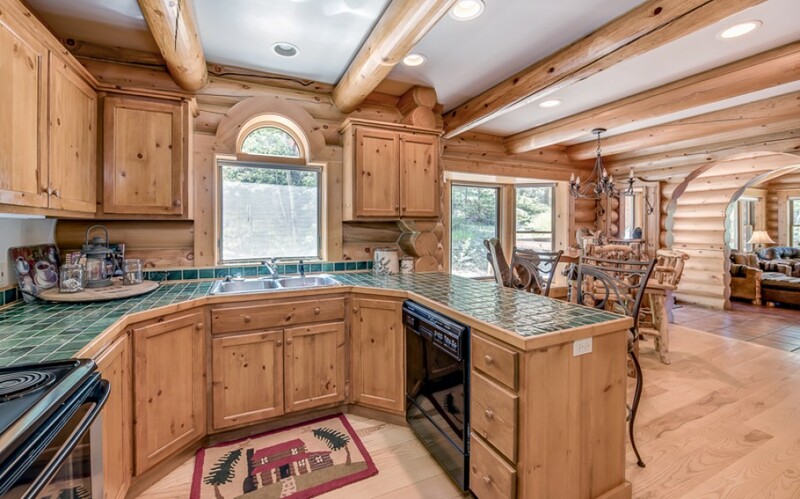 Relax and unwind at Amazing Log Home on the River, a spacious and beautiful custom log home on the Big Thompson River. 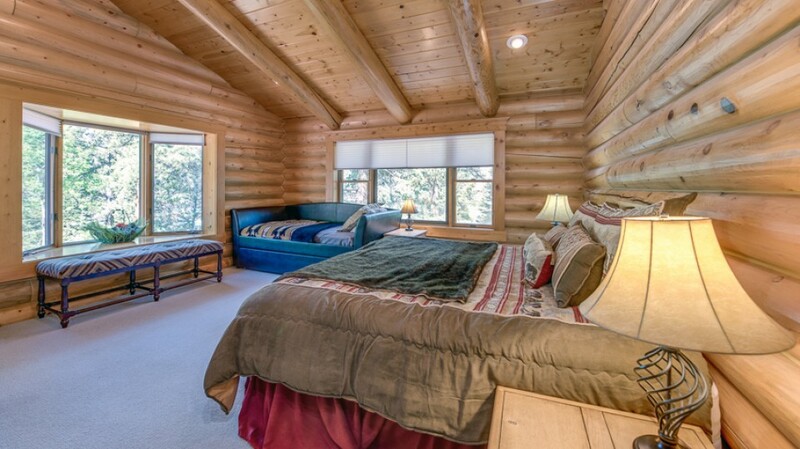 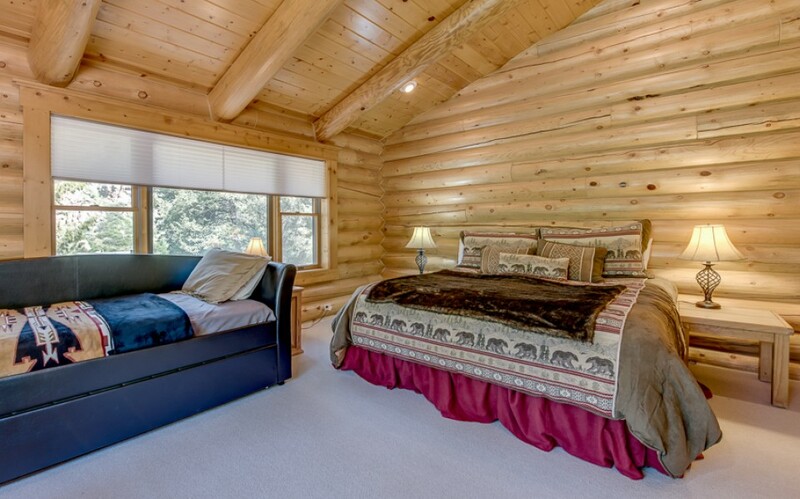 This home is close to Rocky Mountain National Park and 10 minutes from downtown Estes Park. 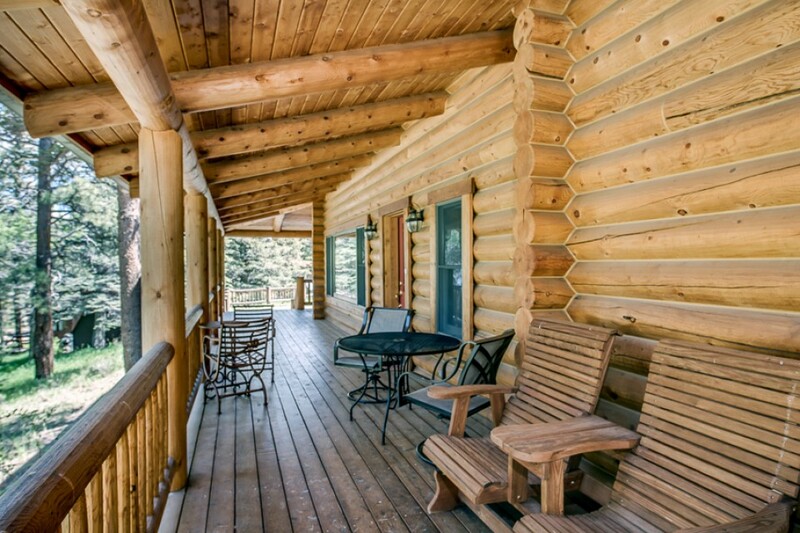 The wrap around porch provides a tranquil setting with river and mountain views. 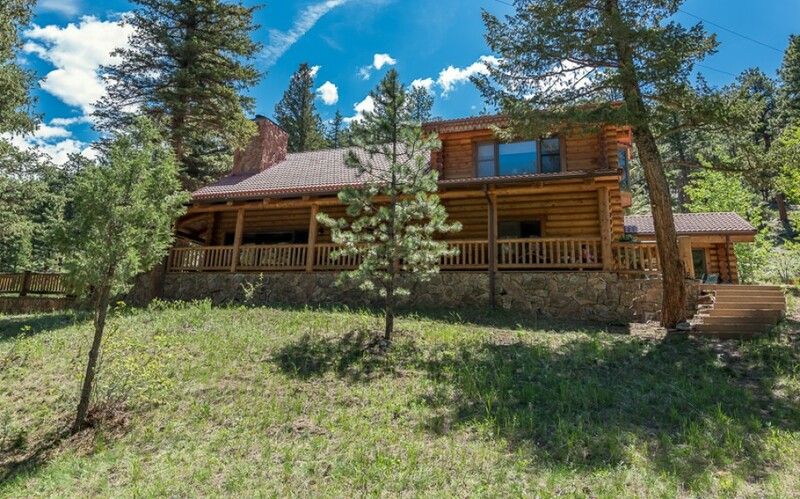 This wonderful Log home offers great views and great family fun. 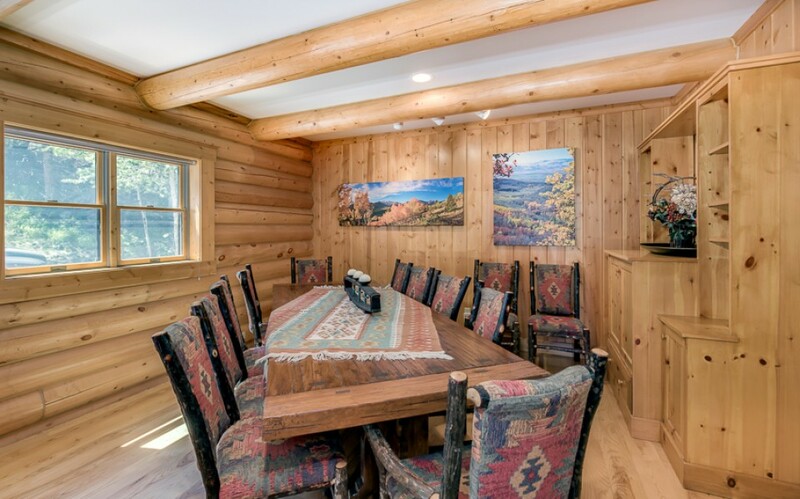 Upon entering the home, through the lower front door, you will find a bench to sit and take off those travel shoes or hiking shoes after a day of hiking. 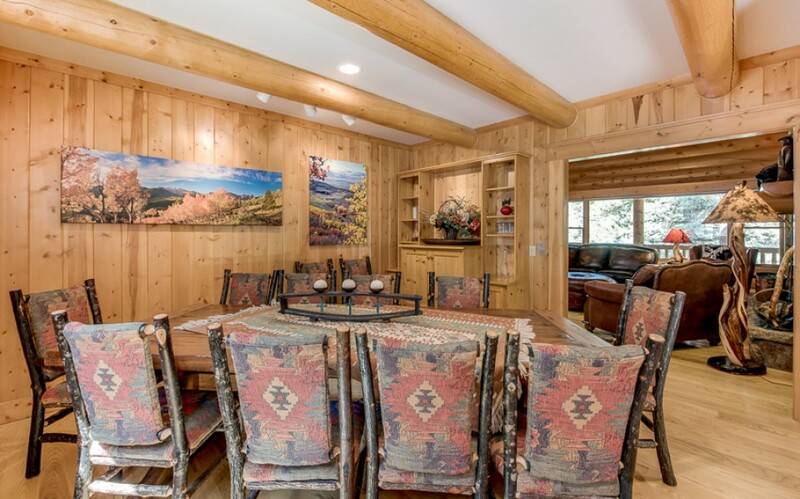 The gorgeous large formal dining area is to the left with a beautiful table that seats 8 comfortably. 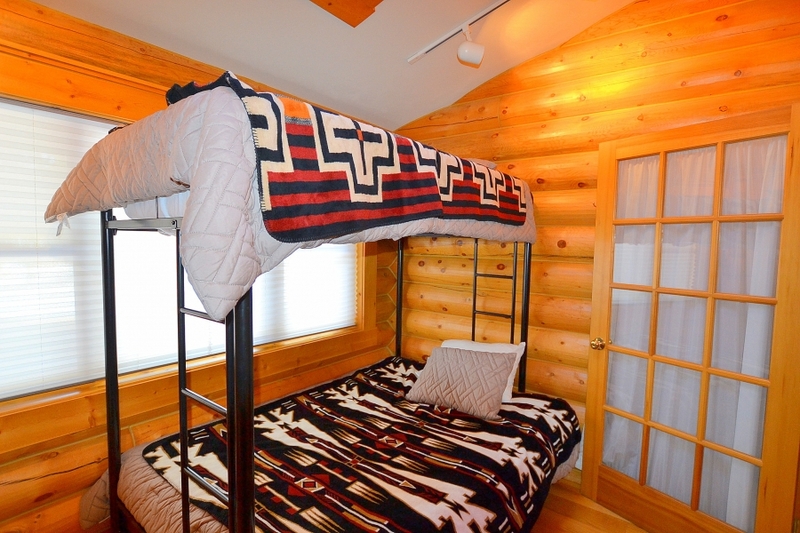 To the right of the entry is a small bedroom with a set of bunk beds. 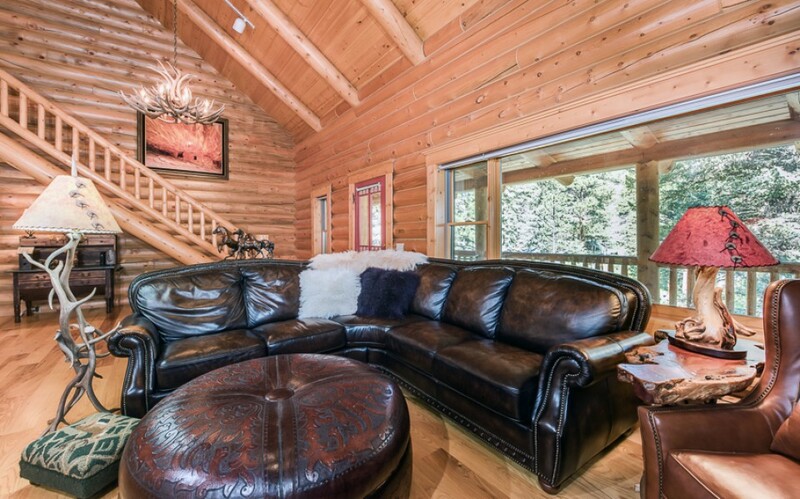 As you continue into the great room, you are greeted by a large wood burning fireplace and a very comfortable sitting area with couches to enjoy a nice evening by the fire. 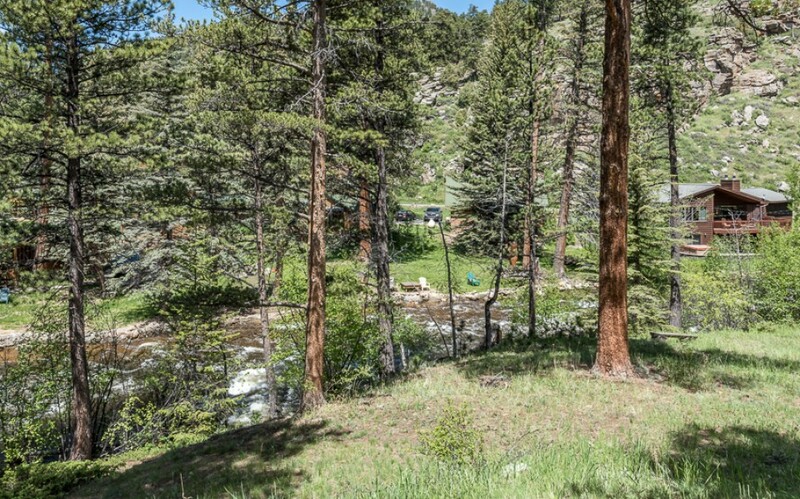 There is access to the large patio with great views of the river and mountains. 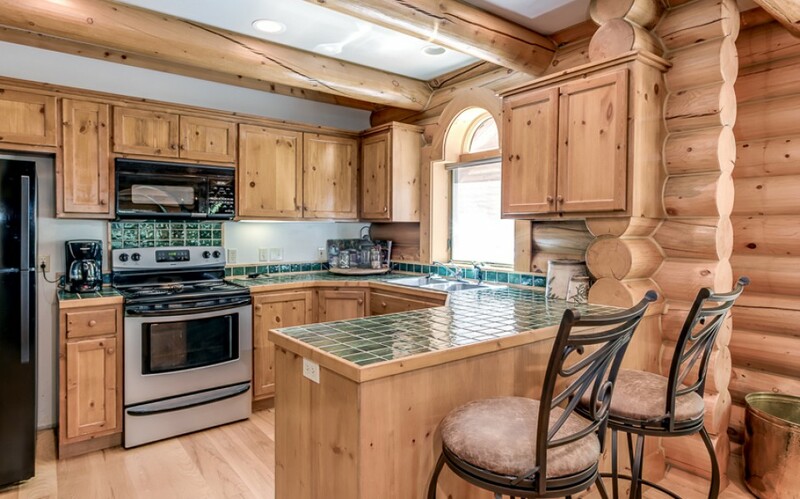 Down the hall from the great room is the well stocked kitchen. 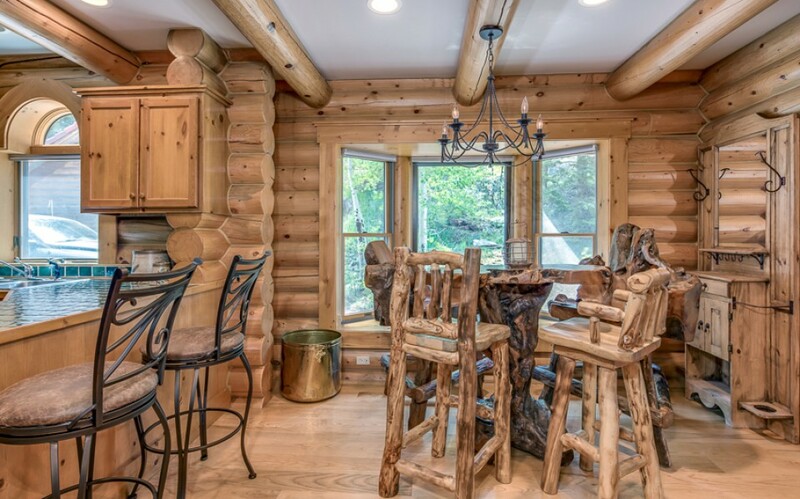 There is a very unique wood table with matching bar stool chairs that can seat 6 people. 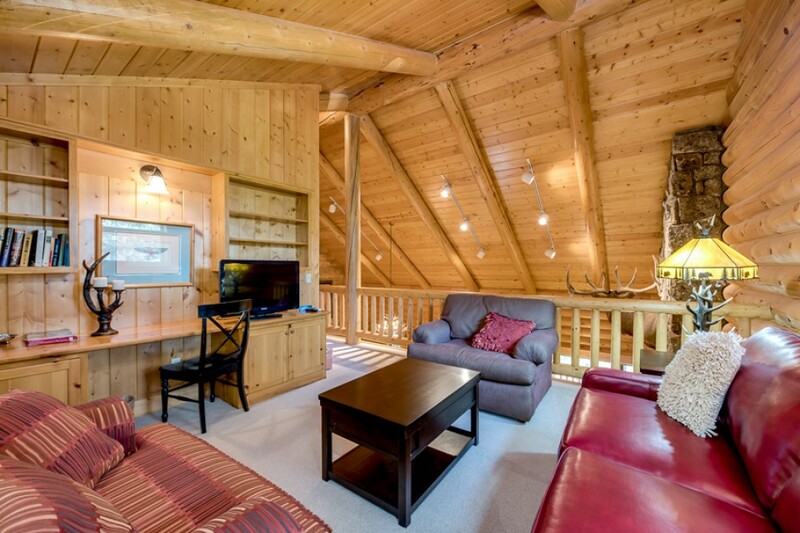 There is also a bay window for watching the wildlife as they wander through while enjoying a cup of coffee. 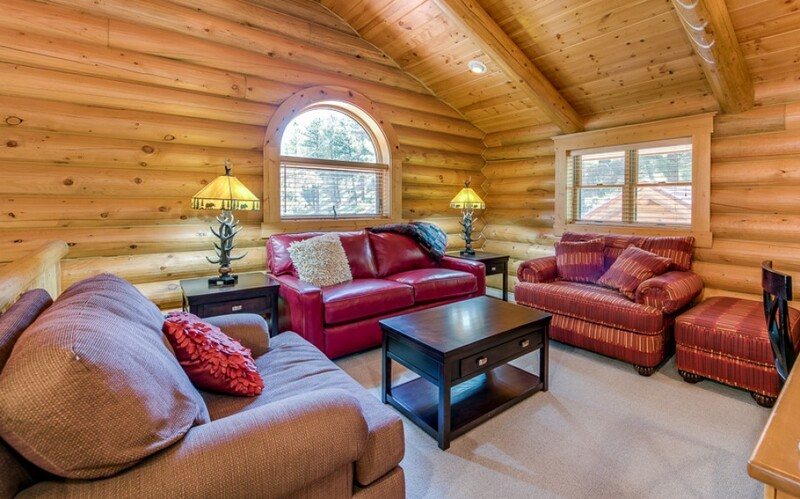 Just through the kitchen is a sitting room with comfortable chairs and couches and a television. 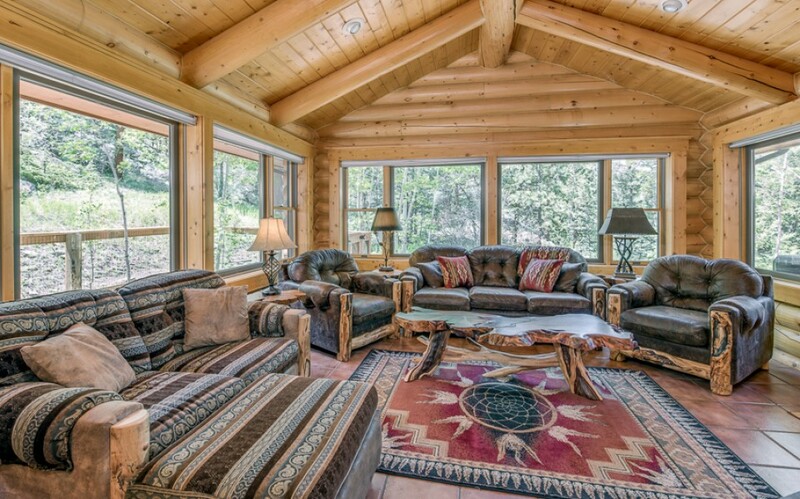 From this sitting room is a door to the patio where you can enjoy the sounds of the river below. 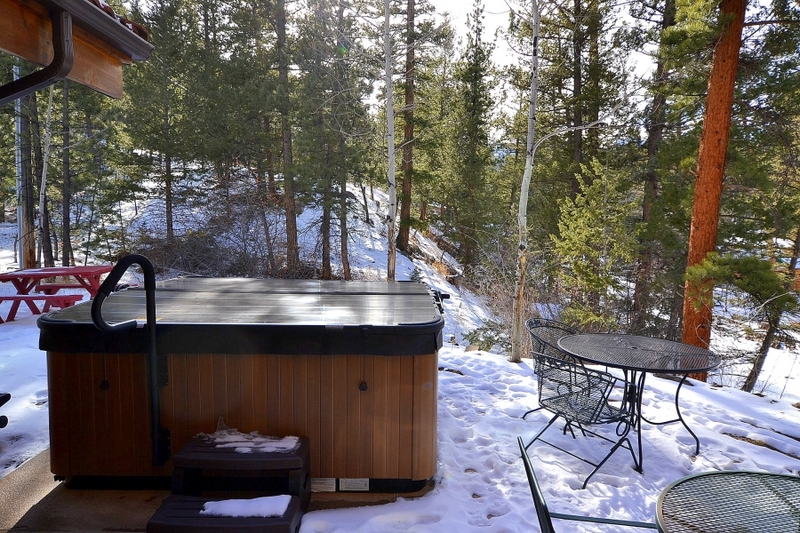 The patio is surrounded by Aspen and Pine trees for that perfect mountain morning experience or afternoon grilling. 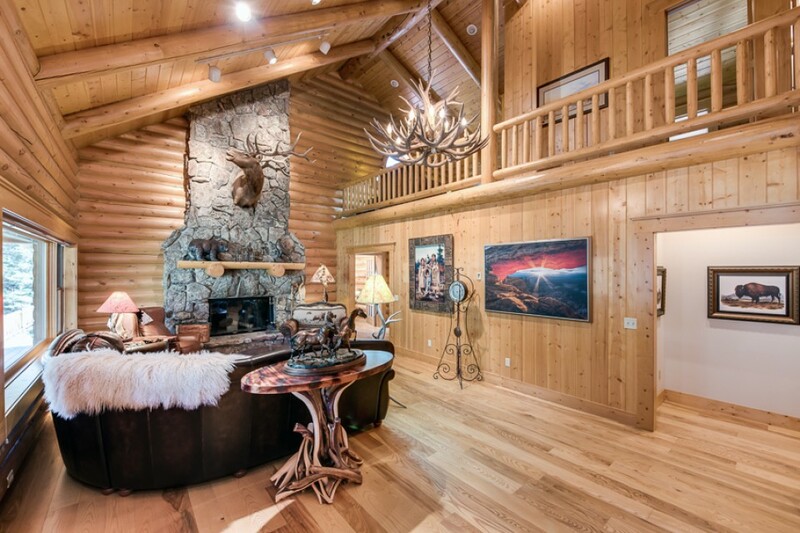 On this main level, down the hall from the kitchen and great room is a King bedroom with television and a bathroom with tub/shower combination. 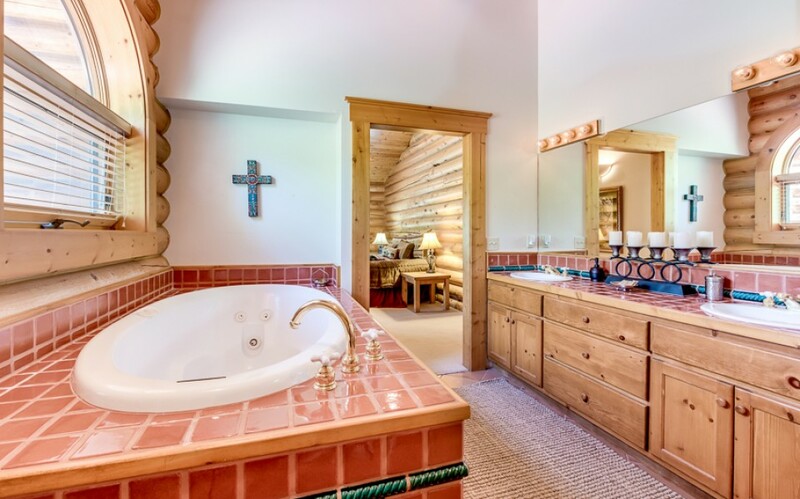 Through the bathroom is the laundry room area. 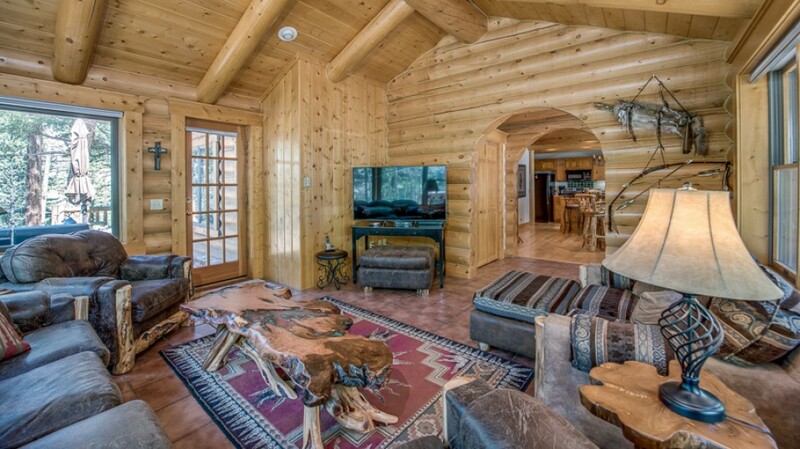 As you walk along the balcony-style overlook to the great room there is a sitting room with, chairs and television with desk and bookshelves. 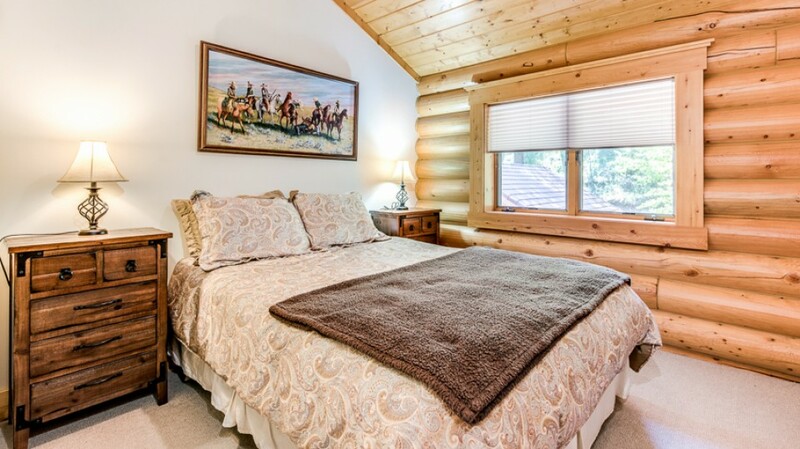 The wonderful views of mountains and the Big Thompson river can be seen from all windows of the home.